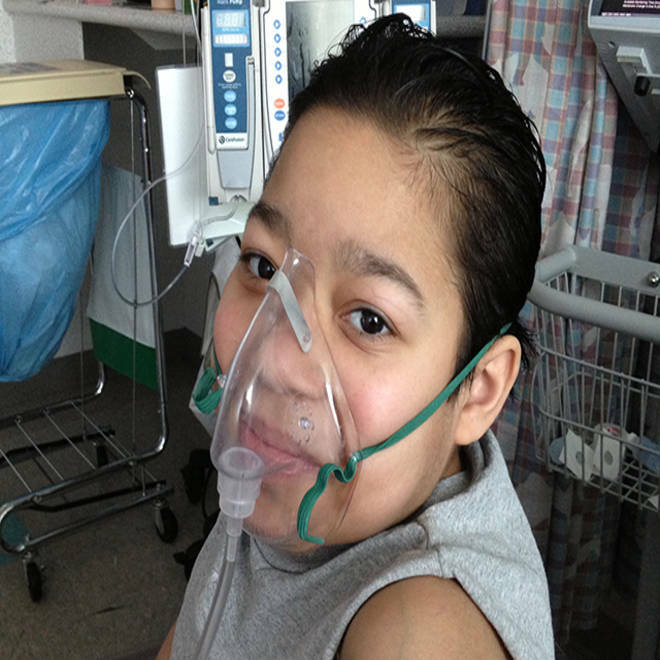 Javier Acosta, 11, is the second child allowed to be considered for an adult transplant list in Pennsylvania. A woman whose son died of cystic fibrosis in 2009 successfully sued on Thursday to get his younger brother, now 11, on the adult waiting list for a lung transplant. It's the second lawsuit of its kind filed in the past two days on behalf of a child waiting for a set of lungs, and the lawyer representing both families says to expect more. The suits have forced an emergency meeting of the board overseeing organ transplants. Court documents show that the mother of Javier Acosta filed suit on Thursday, after a judge forced Health and Human Services Secretary Kathleen Sebelius to order the Organ Procurement and Transplantation Network, or OPTN, to make an exception for 10-year-old Sarah Murnaghan of Pennsylvania this week. “Javier is severely ill and if he does not receive a donated set of lungs very soon he will die,” the document filed by his mother, Milagros Martinez, reads. “Without one he will most likely die before his 12th birthday in August.” Like Sarah, Javier has cystic fibrosis -- an inherited genetic disease that can wreck a patient's lungs. The suit isn’t surprising, says bioethicist Arthur Caplan, who had predicted a flood of lawsuits as desperate parents see a way to help their dying children. "This is absolutely what I feared, that we would get a flood of families saying 'I want to get my child fixed up'," says Caplan, director of the division of medical ethics at NYU Langone Medical Center and a frequent NBC News contributor. "It’s 100 percent understandable. It’s also the reason that we try to have a system rather than a competition about who can have the most publicity or what a judge might think is the best use of organs." On Wednesday, U.S. District Court Judge Michael Baylson issued a temporary restraining order directing Sebelius to suspend existing organ allocation rules after a frantic campaign by her mother scored headlines and widespread national sympathy. The lawsuits are a result of the complicated, two-tier rules that OPTN uses to try to allocate scarce organs in the fairest and most effective way. Adult organs go to patients in greatest need, divided by region to ensure that people who need organs get them quickly. But there are fewer organs available for children under 12, who are usually smaller than adults and cannot always use adult-sized organs. This means children usually wait longer for transplants. The existing lung allocation system was approved in 2005, replacing a first-come, first-served system. Under the new plan, deaths on the waiting list decreased by 40 percent, transplant experts say. Melissa Hatch of Philadelphia-based law firm Pepper Hamilton LLP represents both Sarah and Javier and says that may be true for adults, but more children died after the rules were changed. "They are not trying to jump the line," Hatch said in a telephone interview. "What the under-12 rule did was two things. If you are a child under 12 you are not on the adult waiting list unless your doctor says you can be. Javier's and Sarah's doctors say both children ... can take an adult lung." But under the rules, Hatch says, children put on the adult adult waiting list go to the back of the adult line. Hatch denies there would be a flood of lawsuits. "We estimate there are 16 children in the whole United States who are being hurt by this rule," she says. She believes these children are in a unique position that's been overlooked by OPTN. The complaint on behalf of Javier says he has been on the waiting list since 2010. His brother, Jovan, died when he was 11, also waiting for a transplant, for lungs ravaged by cystic fibrosis, the complaint says. “Federal law requires equitable allocation of donated organs, but under the policies currently in effect, that requirement is not satisfied for children under 12, including Javier Acosta,” it says. Javier Acosta lives in New York but is being treated at Children's Hospital of Philadelphia, according to the complaint. OPTN data shows that 222 people are on the list for a lung transplant in organ allocation Region 2, which covers Delaware, Washington, D.C., Maryland, New Jersey, Pennsylvania, Virginia and West Virginia. Six children younger than 10 are on the list, and eight children aged 11 to 17 are on the list. Caplan says there are good reasons for OPTN's system. "The whole point of having rules is to avoid special pleading," he said. "I also worry that this may not be the end of those appeals. Other people might say 'I am not being treated fairly. I want a judge to push me to the top of the list.'" Dr. John Roberts, president of the OPTN board of directors, says he's called a meeting for next week to review the guidelines. "In response to your request in your letter of May 31, 2013 requesting the OPTN to review OPTN lung allocation policy as soon as possible, and understanding the time-sensitive nature of this review, I have scheduled a meeting of the OPTN Executive Committee on Monday, June 10th," he wrote Sebelius. "If the available data suggest that a change to the lung allocation policy is warranted, the Executive Committee would be able to approve an interim policy change and expedited plan for implementation at that time. In addition to any action the Executive Committee may take on Monday, the OPTN will continue our thorough review of the pediatric lung allocation policy." Steve Harvey of Pepper Hamilton and stresses that the court orders are only temporary while the OPTN considers the rules. "We understand that the OPTN formed a committee to review the policy that discriminates against children under 12 in the system for allocating lungs. We think the OPTN should not apply the rule to children while it reviews the matter because of the compelling argument that the policy is wrong and the risk that some children will die in the meantime," Harvey said in a statement. "The orders granted this week have given Sarah and Javier hope. But Sarah and Javier are not alone," Harvey added. "Doctors need donated organs in order to give new life to patients, and organ scarcity is a major problem in our country. We hope that Sarah and Javier’s stories will remind us all to become organ donors and, if we face the tragedy of the loss of a loved one, consider a directed donation of their organs." According to OPTN, 75,688 people are actively waiting for organ transplants, and 6,891 transplants have been done so far this year. Organs have been donated from 3,412 people this year -- far short of what is needed.